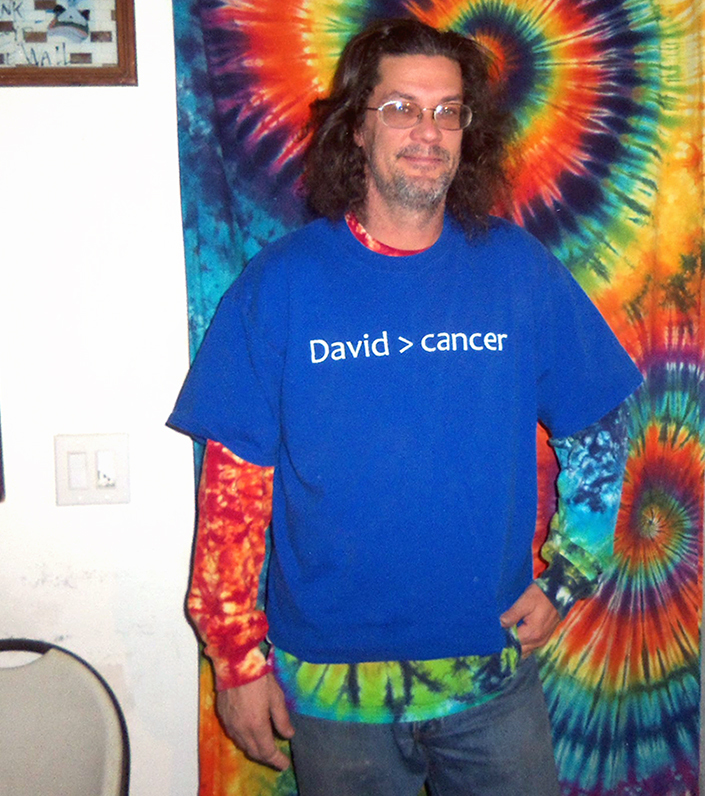 Dyemaster Mike’s own father Joe is currently engaged in a battle with cancer. 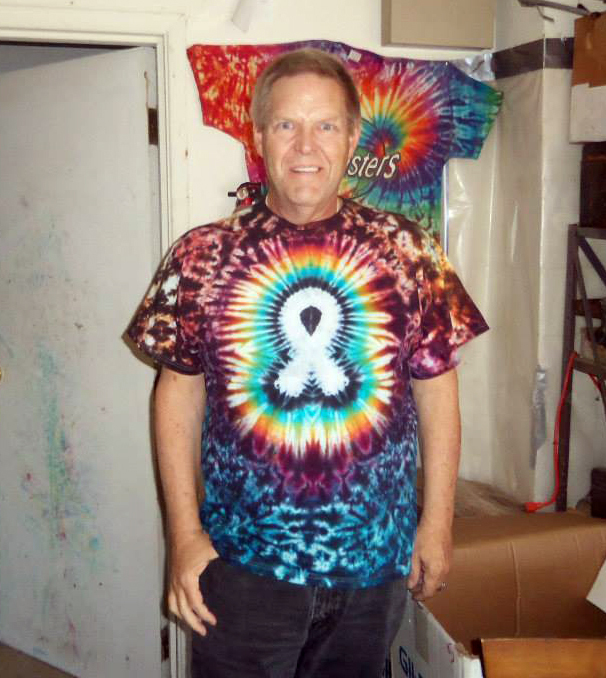 Dyemasters chooses to make a difference in battling the cancer epidemic…so we will be presenting a series of tie dyes focused on Cancer Awareness to benefit cancer research. After skin cancer, breast cancer is the most common cancer diagnosed in women in the United States. Breast cancer can occur in both men and women, but it’s far more common in women. One in eight women will be diagnosed with breast cancer in their lifetime. A portion of the sales of these shirts will go to support research, education and awareness of breast cancer. Get you shirt and show your support for women’s health, the brave women who are battling cancer and the survivors of this disease! Visit the Cancer Store on www.Cancerconsultants.com for books whose topics range from personal cancer memoirs to expert nutritional guides about fueling your body to prevent and fight cancer. My father passed away from cancer this summer. He was diagnosed on 06/09/14 and passed on 06/20/14. I still can’t believe he is gone. I wish you and your father the very best! I have to order one of your cancer awareness tee shirts. I would like one in purple to represent all cancers if posssible. I’m a extra large lady and would love to order a Tee shirt. I would also love to order a tapestry. the tapestry physcodelic with a peace sign. Your name was given to me from Michelle Guisleman and her husband. They brag quiet a bit about you and say your the best. Looking at the pics on this website, i think i will agree. How do i go about seeing what you have in person and getting prices for all the products you offer. I am very excited about seeing more. Please let me know how I can get a hold of the items i have mentioned. You can e-mail me at donita_johnson@uhc.com. This is my work e-mail and i check that daily. Look foward to hearing from you. thanks again!